Kansas’ dual election system ruled unlawful; whither Arizona’s dual election system? In September of Last year I posted an update on the status of Belenky v. Kobach (2013-CV-001331), the lawsuit in Kansas state court challenging the “dual election system” imposed by Secretary of State Kris Kobach after he lost his legal challenge to the federal voter registration form. Arizona Secretary of State Ken “Birther” Bennett imposed the same “dual election system” here in Arizona, which has been continued by Arizona’s queen of voter suppression, Secretary of State Michele Reagan. Update on ‘dual election system’ lawsuit in Kansas. The American Civil Liberties Union of Kansas filed a motion for summary judgment in state court to end the two-tiered voter registration system that Secretary of State Kris Kobach created. 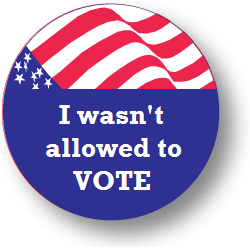 A state court in Kansas today issued a 30 page opinion granting summary judgment to two Kansas voters who registered to vote in Kansas using a federal form but who had been denied the right to vote in state elections by Kansas Secretary of State Kris Kobach. The background: Federal law requires states to accept a “federal form” for voter registration (promulgated by the U.S. Election Assistance Commission) for voting in federal elections. Kansas Secretary of State Kris Kobach, a fraudulent fraud squad star member, challenged the authority of the federal government to require Kansas to accept that form, arguing that states had the final say. Because those registering with the federal form did not have to provide proof of citizenship (as normal registration in Kansas now did), Kobach argued he did not need to accept the federal form. The case went all the way to the Supreme Court, and then through further litigation in the 10th Circuit (with cert. denied by the Supreme Court), establishing that Kobach was wrong: Congress had the authority under the U.S. Constitution’s Elections Clause to require states to accept the federal form for voting in federal elections, even if the federal form did not provide all the information a state wanted. Kobach’s office is reviewing the ruling and hasn’t announced whether there will be an appeal. Arizona’s dual election system — piggybacked upon the Kansas dual election system — is equally suspect and unlawful for the same legal reasons stated by the Kansas state Court. Arizona’s Secretary of State has been deferring to the Kansas Secretary of State and the outcome in this case in Belenky v. Kobach (2013-CV-001331) as legal justification for Arizona’s dual election system. Arizona’s dual election system should now be suspended as unlawful. It should not require voting rights advocates to file a separate lawsuit in Arizona to suspend the dual election system in Arizona. I’m surprised that this ruling has not received media coverage in Arizona and Secretary of State Michele Reagan has not been called to account for Arizona’s suspect dual election system. Arizona v. Inter-Tribal Council explicitly held that its ruling only applied to registration for Federal Elections, and did not require that the Federal Form without proof of citizenship be accepted for Arizona state elections. The decision of a STATE court in another state should be honored in Arizona. Are you serious? That policy would cause chaos and conflicting confusion. Arizona has been piggybacking off Kansas in this case. That makes this case persuasive precedent. I am well aware of the jurisdictional issue. The Secretary of State can suspend the dual election system, or someone like the ACLU or the Arizona Advocacy Network will sue on the same legal theories in Kansas. How about doing the right thing just once instead of costing this state money on litigation for unlawful GOP voter suppression? You have already lost once on your buddy Kobach’s Prop. 200 (2004) to require proof of citizenship documents for voter registration in Arizona v. Inter Tribal Council of Arizona. If this Kansas case goes as far as SCOTUS, you will lose again.